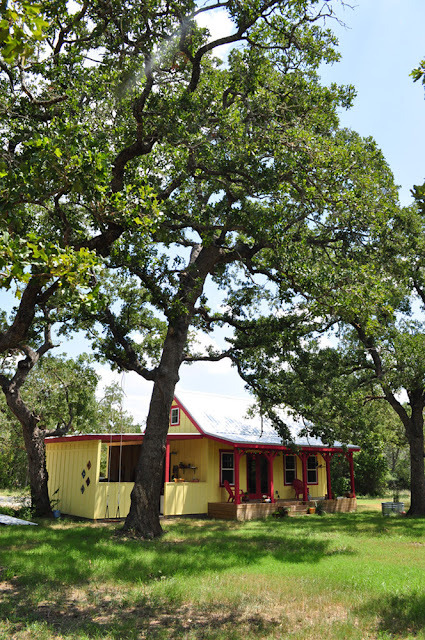 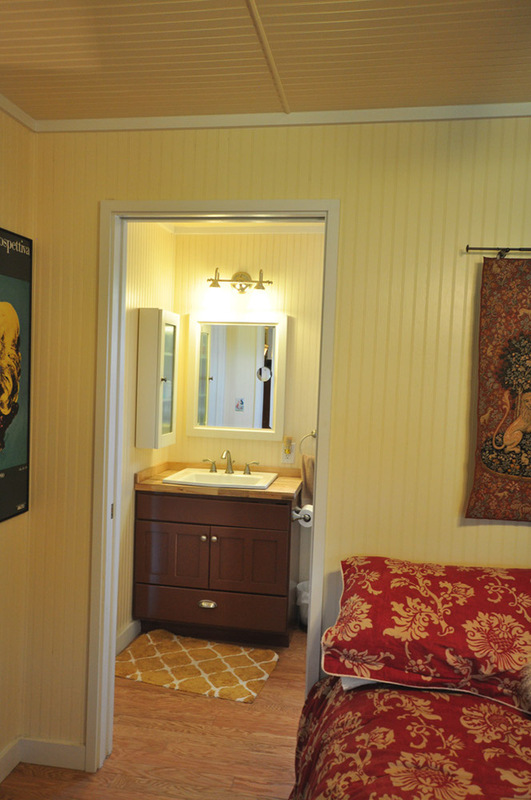 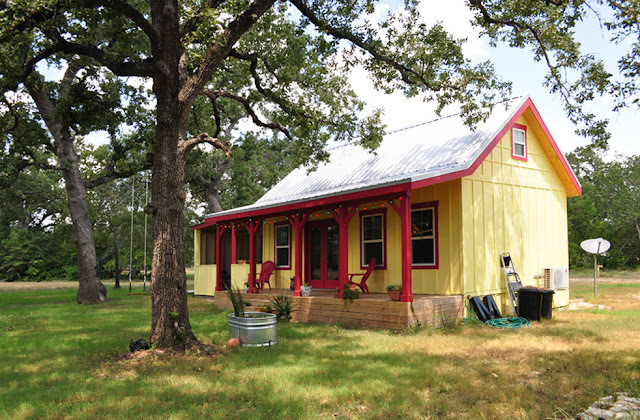 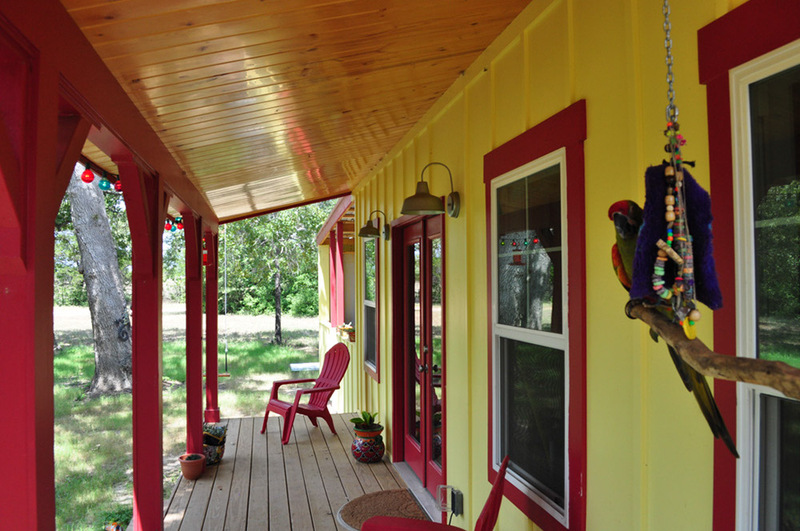 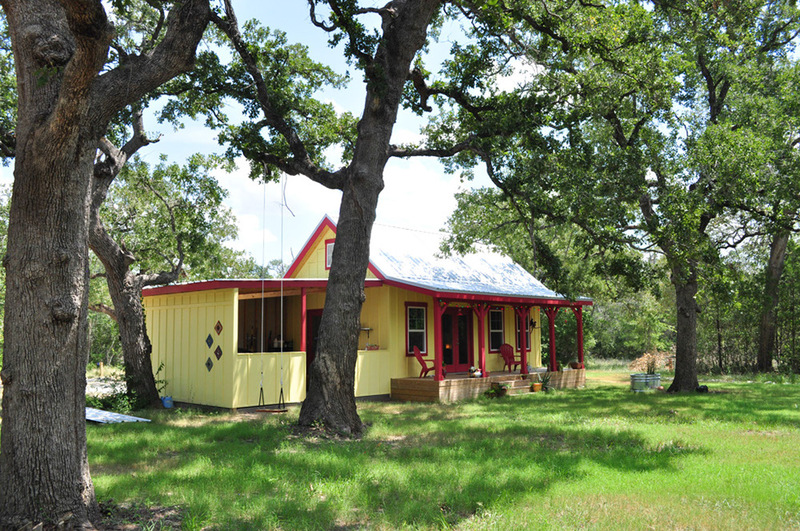 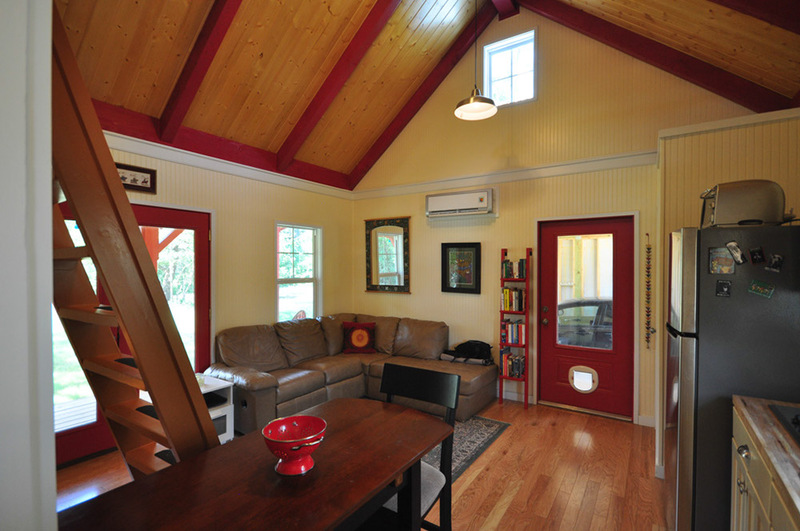 The Kanga Room Systems Cottage Cabin measures 16’ x 26’ and is located in Waco, Texas. 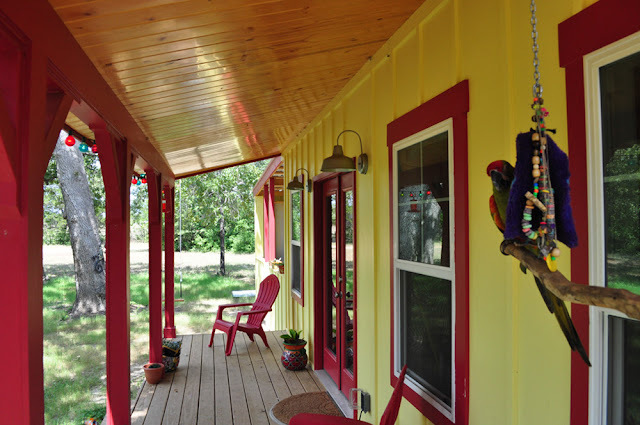 After walking onto the front porch and entering through the French door entrance of the home, you will see the main living room on your left, the dining area on the right, the entrance to the master bedroom on your right and the kitchen along the wall opposite the entrance. 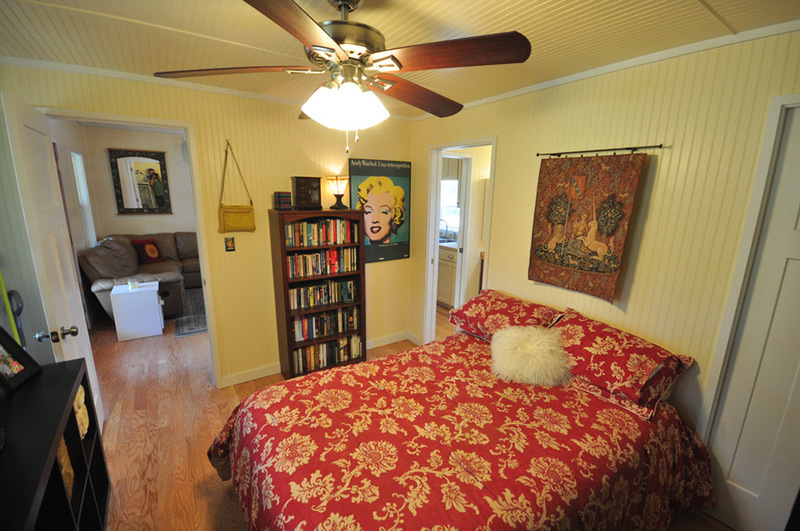 The living room is furnished with a sectional sofa, an end table and a bookshelf. 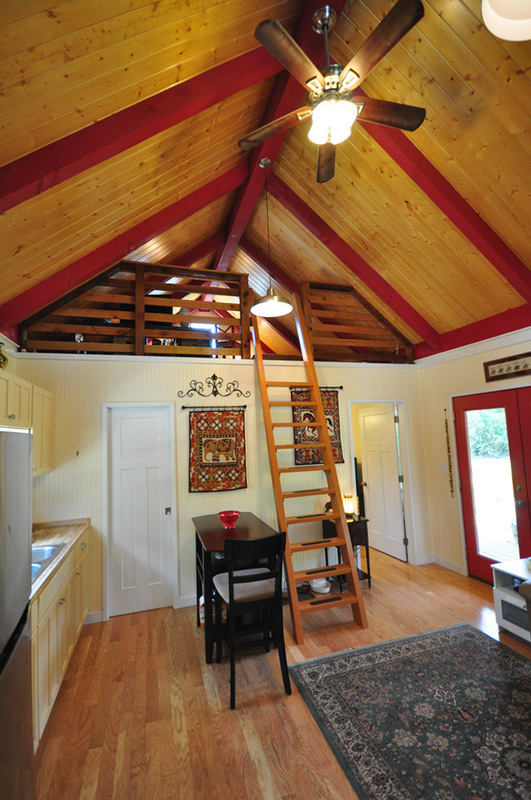 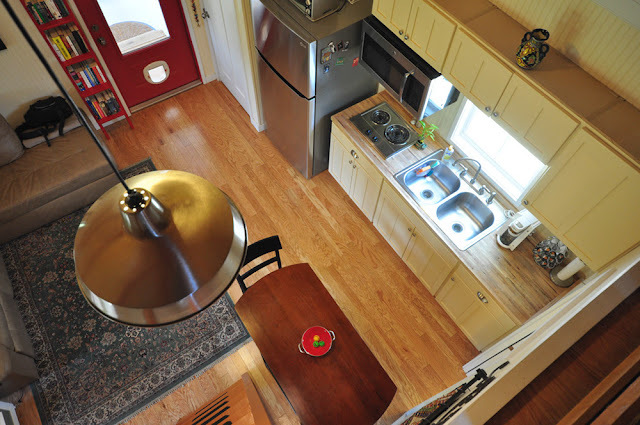 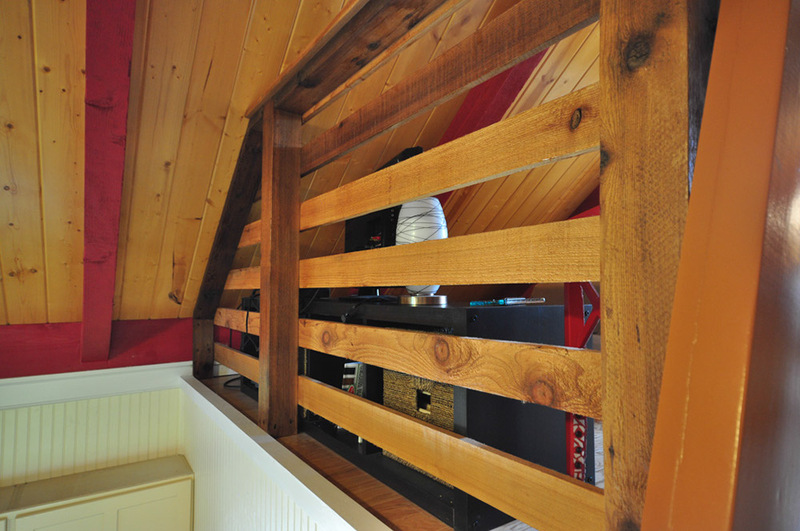 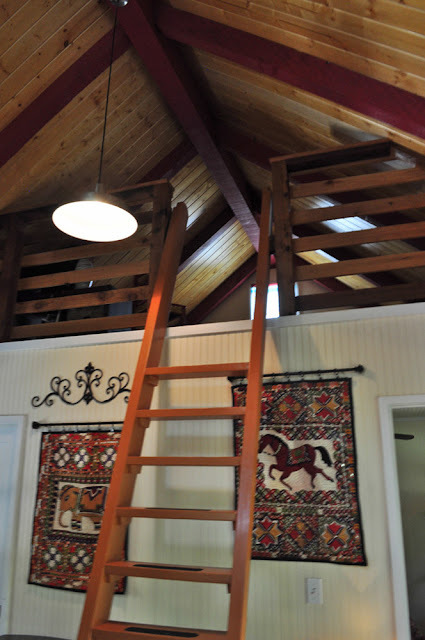 There is also a ladder (in front of the dining area) that leads up to the sleeping loft. 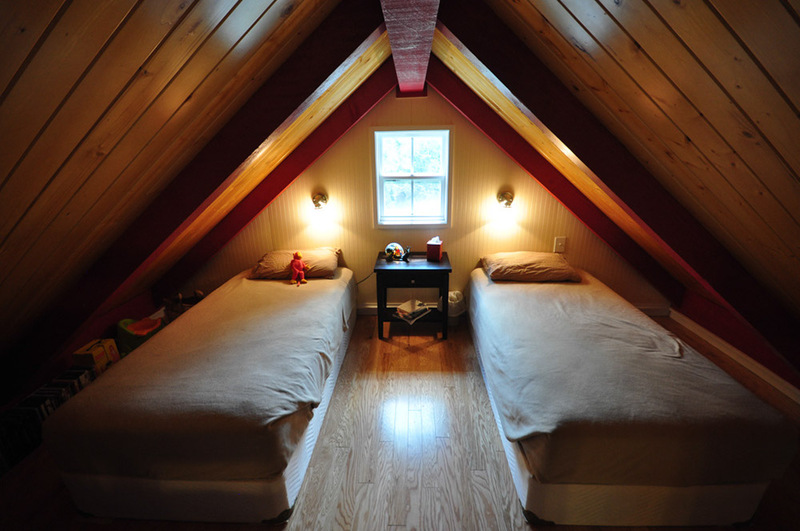 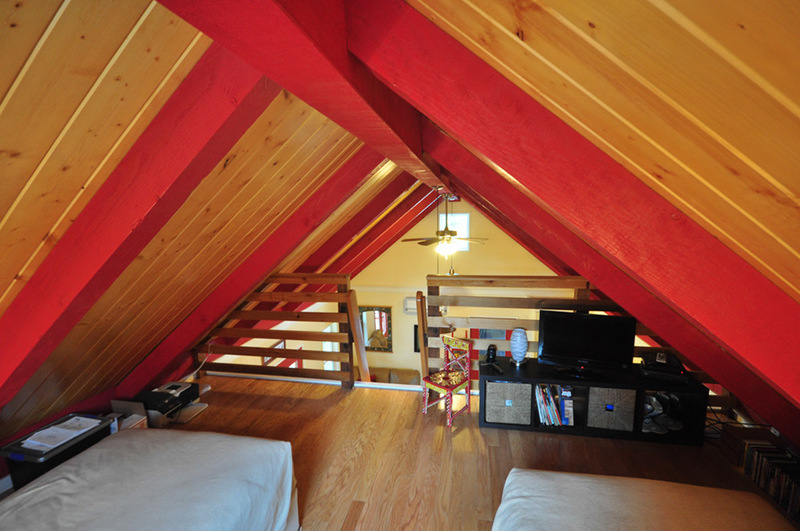 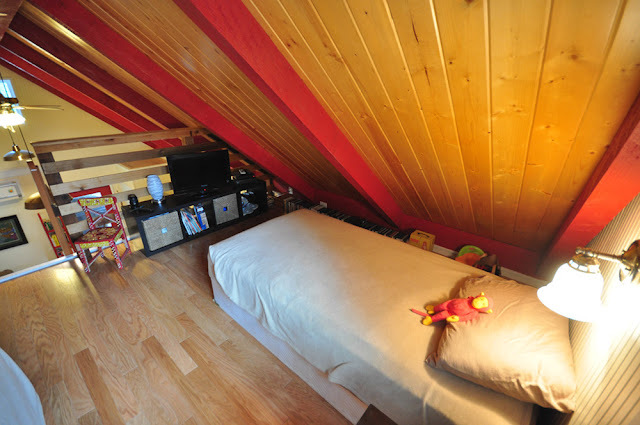 This loft has 2 twin-sized beds and an entertainment center. 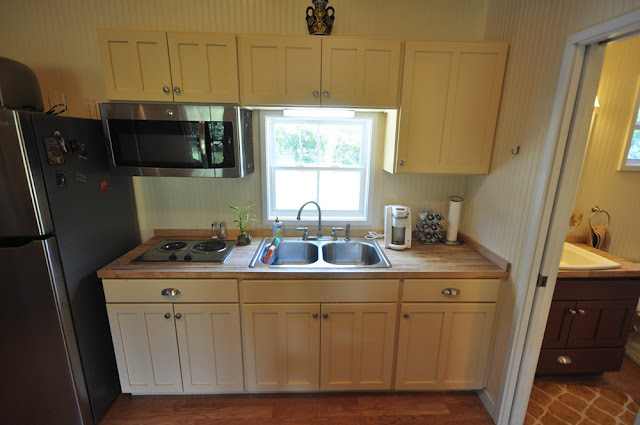 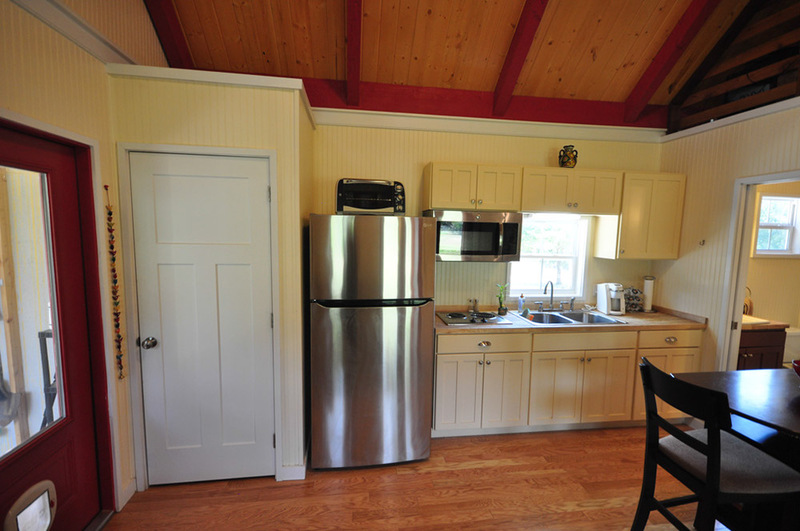 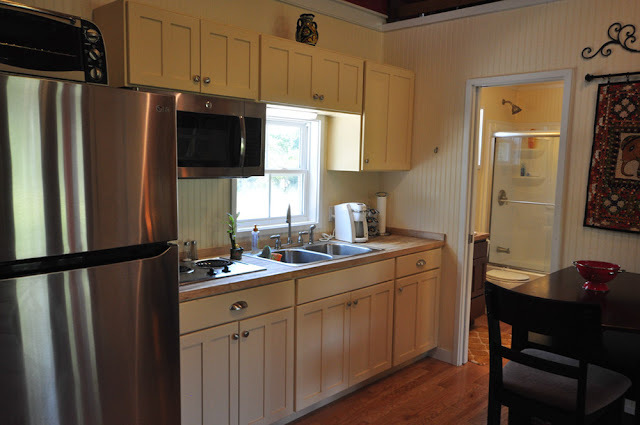 The kitchen is modern and features wood countertops, white cabinetry and stainless steel appliances (i.e. double sink, refrigerator/freezer, microwave, 2-burner cooktop). 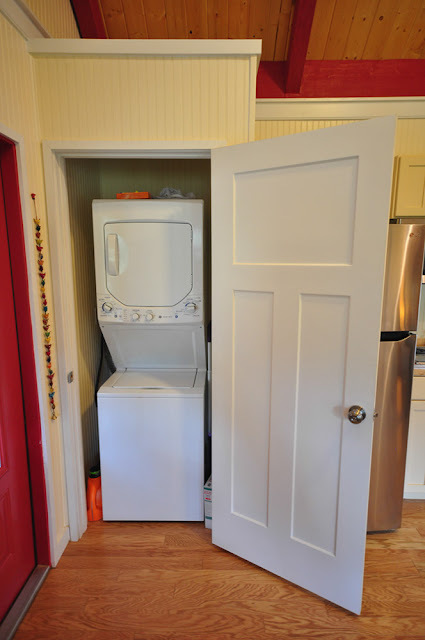 To the left of the kitchen is a laundry closet that houses a washing and drying machine; and, to the right of the kitchen is a bathroom featuring a wide, white sink, large vanity, toilet and shower/tub. 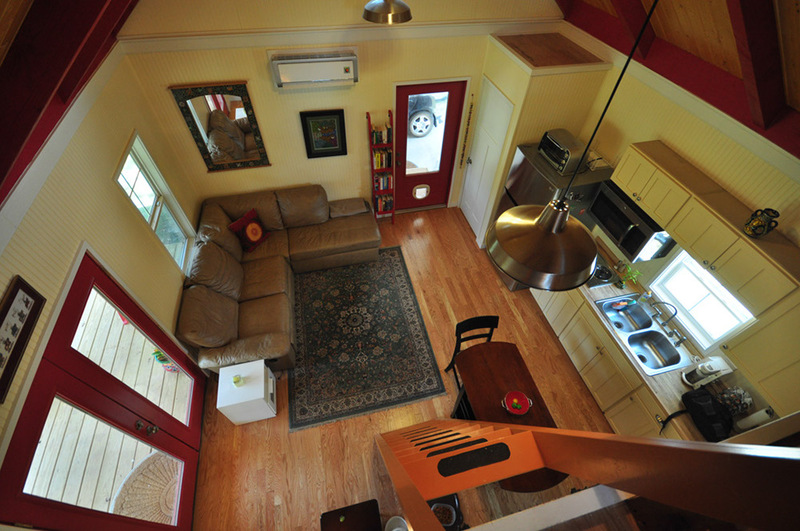 A nice addition to this model cabin is the open shed under which a car can be parked and tools can be stored. 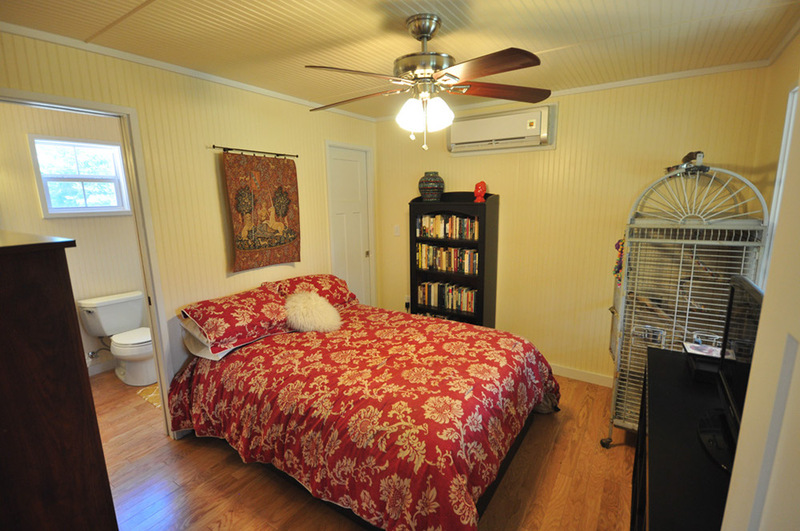 For more information on sizing, pricing and financing on this unit, contact Kanga Room Systems here!